And, after finding that the rings have a fairly low mass, they came to the conclusion that the planet’s rings are only 10 to 100 million years old. This is much younger than the planet itself, which is estimated to be 4.5 billion years old. Look at the dates on these two stories/leaks. Put two and two together and you will know what was so damaging that Facebook asked the court to not disclose it. Intentionally manipulating kids to have emotional problems so you can have more vulnerable consumers for your advertisers to better micro target. That would be pretty damaging. Like parents of children who have committed suicide shooting up Facebook HQ kinda damaging. Basically, Facebook has done research in the past to manipulate the emotions of people using it. Facebook has the ability to determine when people are experiencing certain emotions as they are using it, and can use this info for advertising. 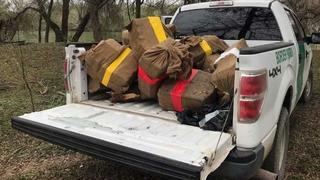 Border Patrol Agents seized more than 700 pounds of cocaine along the US-Mexico border this week; confirming federal law enforcement found the “bundles of narcotics” along the banks of the Rio Grande river. She is far from alone in changing her views on redefining marriage and other issues. But it is clear to me from her sad appearance in the apology video posted yesterday that she realizes that this is a mortal issue for her national political aspirations, so she needs to go with a full-throated endorsement of positions her religious teachings condemn. Sky-watchers across the entire Western Hemisphere will be able to see all or part of the eclipse. North America, Central America, and South America will get to see all the phases of this special sky show, as the moon rides high in the eastern sky. To put $1 Trillion in perspective, the US GDP is 20 Trillion, and China's is 13 Trillion. $1 Trillion is 5% of the total value the US produces in a single year. God bless America, the free market wins again. 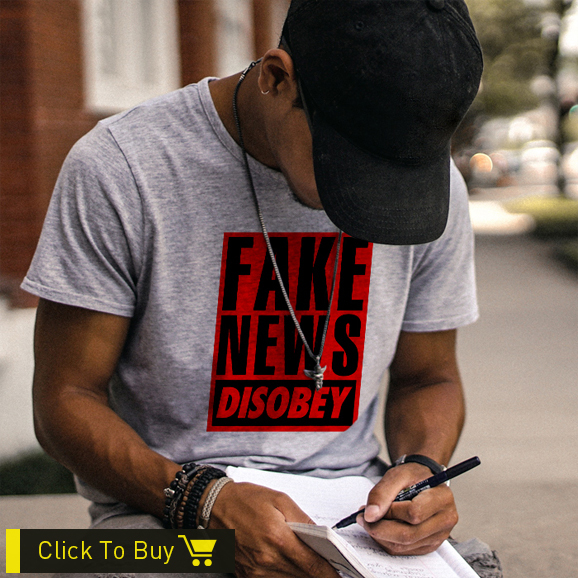 Do our bidding. 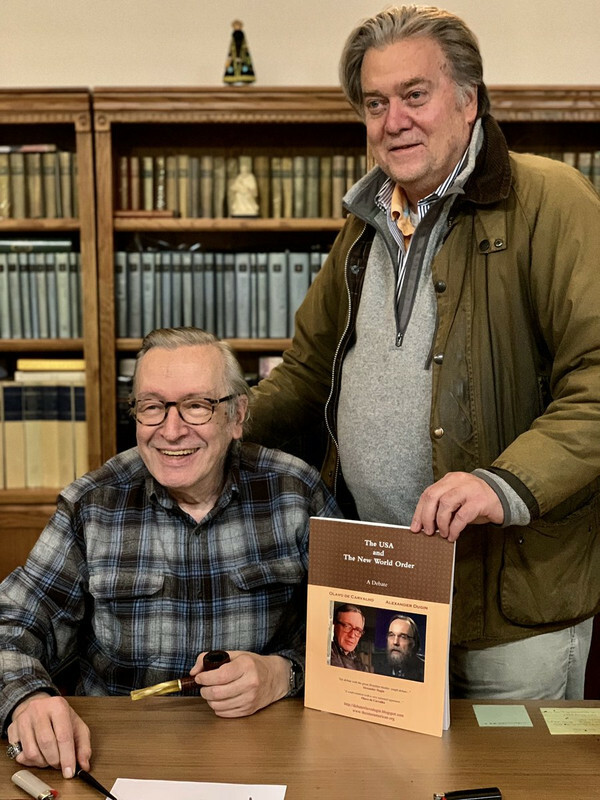 American Steve Bannon , a former campaign strategist for US President Donald Trump , met Thursday night with philosopher Olavo de Carvalho . The meeting took place at the home of the Brazilian, who lives in the State of Virginia, in the United States, and lasted about three hours. He also left carrying a copy of a book with the debate between Olavo de Carvalho and the Russian Alexandre Duguin. You might be asking what the significance of this meeting is. Mr Olavo de Carvalho is a philosopher that's highly influential in Brazil's new government and with parallel ideas about the threats to western civilization. As you know Bannon is really responsible for setting up most - if not all - successfully, populist governments around the world that are currently making head-way. He's the Thomas Paine of our generation, but on a global scale. If anyone is interested, please see the video we are hosting on our YouTube channel. Lots of information regarding behind-the-scenes strategies is revealed by Bannon there. A must see.